Summer is over and the kids are back in school. Those lazy days at the beach seem far behind us already. The campfires have died out and it’s “early to bed” for most of us. By all accounts the summer of 2013 was a good one – good for both growing things and making memories. 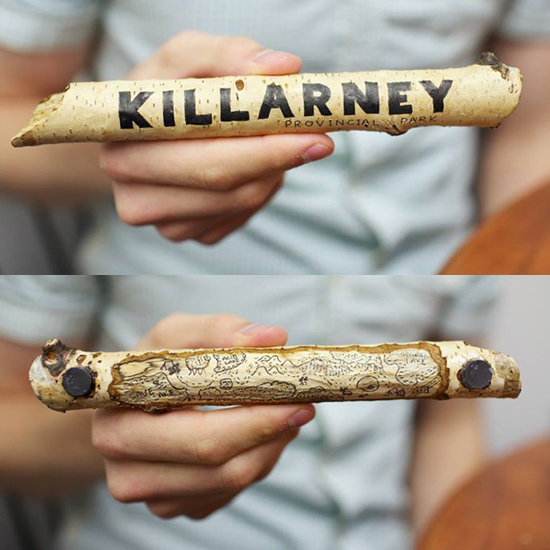 Our designer Jeremy had a bumper veggie crop in his garden this year and our collection of fridge magnets also kept growing including this one which our designer Nick handcrafted from a birch twig he found while hiking in Killarney. So here are our best shots from the summer of 2013. Let us know which is your favourite.